This project involved much needed modernization to a 1960‘s campus lacking typical amenities, technology and space. In collaborating with key campus Administrator‘s, District Facilities and Maintenance and Operations team members, our solution created a unifying identity that will inspire students, teachers and administrators for the next 50 years. The entire campus frontage was transformed by replacing the undersized and dated administration building, kitchen, teacher‘s lounge, kindergarten relocatables, and parking lot with a New Administration Building, Multimedia Building, Multipurpose Building, Kindergarten Classroom Building, enlarged parking facilities, and environmentally-sensitive landscaping. This 1960’s campus sits in the heart of Norco’s ‘Horse Town USA’, surrounded by single-story residential and horse corral structures. Our collaborative vision for this campus provides a unique architectural identity that speaks to the city’s motto while being contextual to the rural openness and scale of surrounding properties. The campus program replaces a dated and undersized administrative building, teacher’s lounge relocatable, and a classroom building with a small multipurpose space and serving kitchen. To create the new campus identity, prefinished galvanized metal deck siding and standing seam gable roof was introduced to accentuate specific building forms and provide focal points for campus way finding. Dry-stack stone veneer wainscots and warm exterior colors throughout capture rural textures of the community. The project added an Administration Building, a Multimedia Building with two computer labs and library, a Multipurpose Building with a stage and kitchen, two custom Lunch Shelters, a rear parking lot and two rubberized areas for expanded play opportunities. The rejuvenation of Corona High School began in 2004 with the construction of three large building additions in the front of the campus for Administration, Science Classrooms, and Performing Arts. In 2011, was the completion of a new Football Stadium with synthetic track and turf, Concessions, Fieldhouse Gymnasium, and an entire Aquatics Center and Pool. Recently completed construction, includes a new Lobby Addition to the existing Gymnasium, Wrestling Training Center, Softball Field, Baseball and Softball Dugouts, and a Locker Room Addition to house the entire football program. Desiring to expand the existing school into a comprehensive K-8 “Academy”, the District and PCH master planned to supplement the existing campus with new buildings and amenities in four separate phases to allow continuous operation of the site during construction. The existing school site sits within a larger (approx. 34 acre) District-owned property. Separate playfields and facilities for K-6 and 7-8 grades were provided to minimize conflicts between grade levels. Currently completed, Phase 1 consists of a permanent two-story classroom building, single-story science lab building, kitchen building, shade shelters, hardcourt play areas, small parking lot, and a vehicular access road for deliveries and student loading. Future Phases “2”, “3”, and “4” consist of Administration/Media Center Building, Gymnasium Building, and Multi-Purpose Building respectively. The Mission School project revitalizes an existing historic campus with new building additions and modernizations capable of accommodating 600 K-5 students. The classic mission architecture blends modern materials and technology to create an exemplary 21st century place of learning. Pedestrian and vehicular circulation has been reorganized to maximize efficiency and safety while allowing students and visitors to fully experience the architecture and its historical context. A new arcade and bell tower pays tribute to previous structures and unifies the campus by creating a main pedestrian circulation element that provides sun control and protection from the weather. Original Art Deco interiors of the main Auditorium are being revitalized and equipped with state-of-the-art audio visual technology for community performances and meetings. Southern California Edison’s “Savings by Design” program is contributing funding for the project’s innovative energy-saving design and construction. The rejuvenated campus has received high acclaim from District, Community, and State Officials. As part of a nation-wide corporate image enhancement program, the 100-year-old family-owned auto dealership received an “extreme makeover” to increase community visibility and customer appeal. The extensive renovation integrated and enlarged the showroom floor, sales offices, service and parts department. Extensive use of glazing, exterior metal panels, energy-efficient lighting, and modernized signage enhances interaction and creates excitement for pedestrian shoppers and passing autos. The dealership was “open for business” throughout the construction phase and was praised at the Grand re-Opening by state and community leaders. 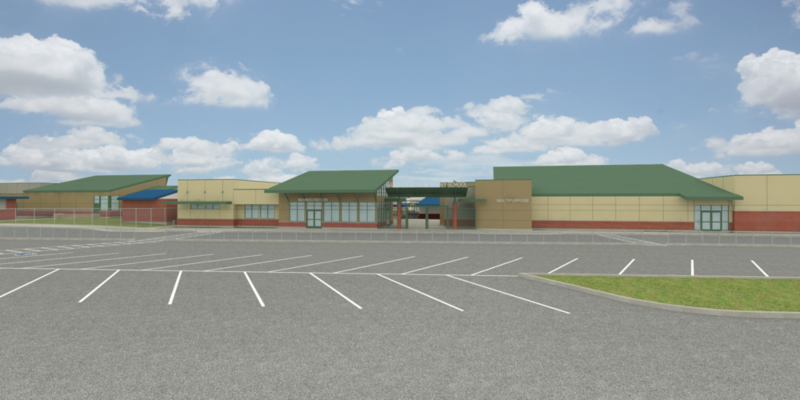 The project is a 167,000 sf. four story mixed use development located at the corner of Mission Inn Ave. & Fairmount Blvd. in downtown Riverside. It includes a Civil Rights Institute exhibit space, Fair Housing Council of Riverside County offices, multi-media and training center, flexible retail spaces and 66 low income housing units. 192 automobile parking spaces and 149 bicycle parking spaces provided in two-story parking structure. Targeting LEED Silver Certification.